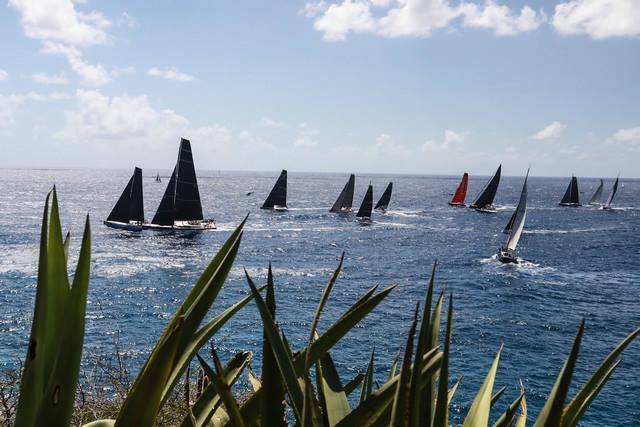 The weather forecast is suggesting that moderate trade winds at the start will strengthen during the race, giving classic Caribbean sailing conditions of warm trade winds from the east with a moderate sea state. 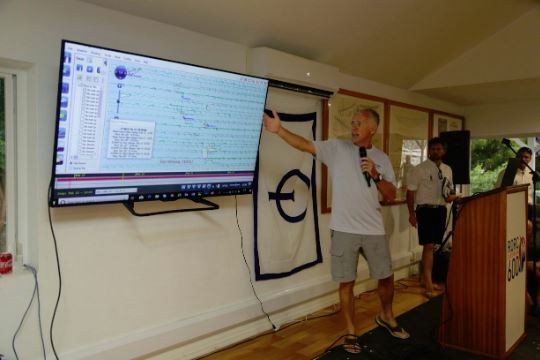 "We have seen light conditions throughout January, but we are seeing a significant change for the RORC Caribbean 600, with low pressure pushing the high pressure away," commented Andiamo's skipper Mike Broughton at a weather update held during the Skippers' Briefing. 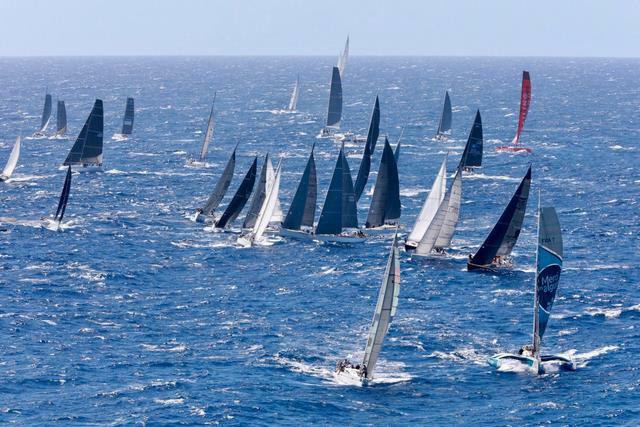 "Traditional trade winds are expected to return for the race with a wave height of 8-14ft (2.4-4.3 metres). Wind speed is always difficult to estimate as this will be effected by the islands as well as the difference in rig height of the fleet. Generally speaking we can expect a mean wind direction from the east of about 20-26 knots, but more for the teams with taller rigs," continued Broughton. Speculation around Argo, skippered by Jason Carroll (USA) continues. The MOD70 capsized at high speed during training on Friday (15 February) and Argo was righted and recovered back to Falmouth, Antigua. It would be a dramatic comeback should the team feel that the boat is seaworthy. 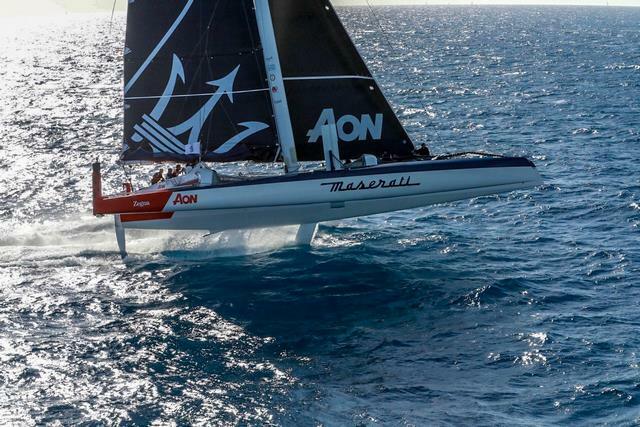 Maserati Multi70 skippered by Giovanni Soldini (ITA) are also keen to see Argo back in action to push the intensity. Both teams have suggested record-breaking conditions for the race. 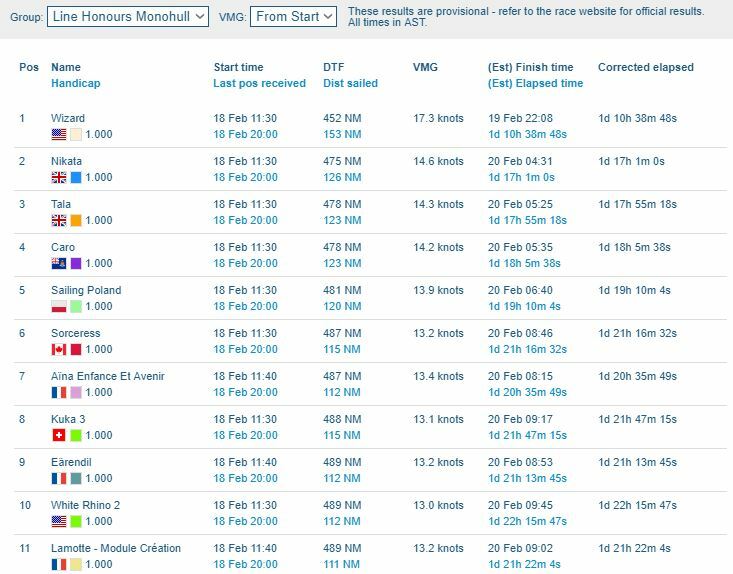 Maxi72 Bella Mente's Terry Hutchinson (USA) has also reported that that their fastest routing analysis suggests that the monohull record is also under threat. Simon Fisher, navigator on Volvo 70 Wizard, owned by David and Peter Askew (USA) concurs with that analysis. 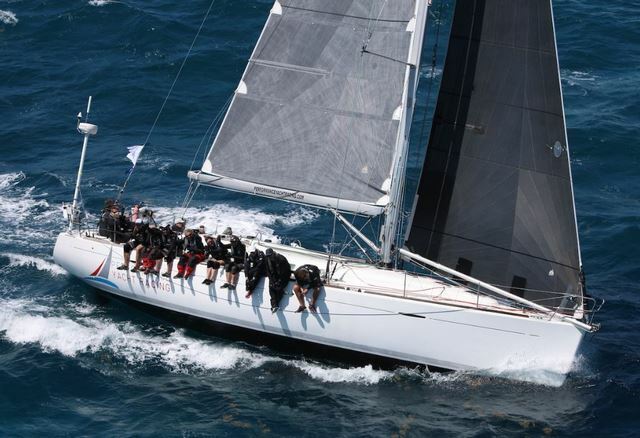 Sadly, Maxi72 Sorcha, owned by Peter Harrison (GBR) will not be racing. 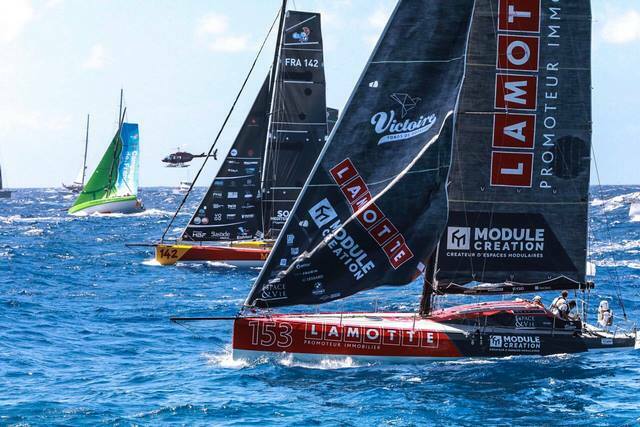 A hairline crack in their bowsprit turned out to be a major structural failure and with not enough time for a repair before the start, the team has been forced to withdraw from the race. First 40.7 Escapado is also out having damaged their rig before the start, but the crew led by Andy Young (GBR) will race J/130 renamed Escapado on Mazu. The media team have been busy over the last few days shooting the preview film for the 2019 RORC Caribbean 600, featuring interviews with some of the 700-plus sailors from 21 countries taking part in the race, including: Argo's Brian Thompson (GBR) and Chad Corning (USA); Giovanni Soldini (ITA) Maserati Multi70; Terry Hutchinson on Bella Mente (USA); Bouwe Bekking (NED) on the superyacht Nikata; Jonathan McKee (USA) from Greg Slyngstad's Fujin and from the two smallest yachts in the race; Johannes Gerssen (NED) racing Cabbyl Vane Two-Handed with his brother, and Rosalin Kemp (NED) from Bernie Evan-Wong's Antiguan entry Taz. plus RORC CEO Eddie Warden Owen. Last edited by Photoboy; 02-18-2019 at 09:34 AM. 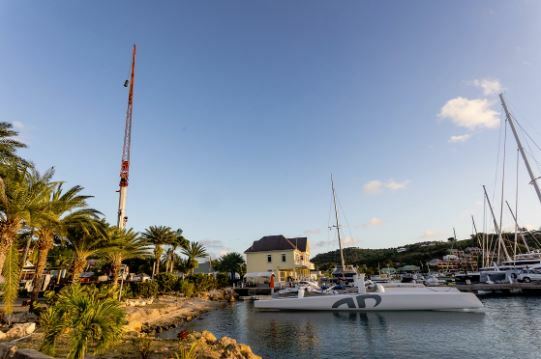 Giovanni Soldini and Maserati Multi 70’s Team agreed to Team Argo’s request to postpone the start of the RORC Caribbean 600. 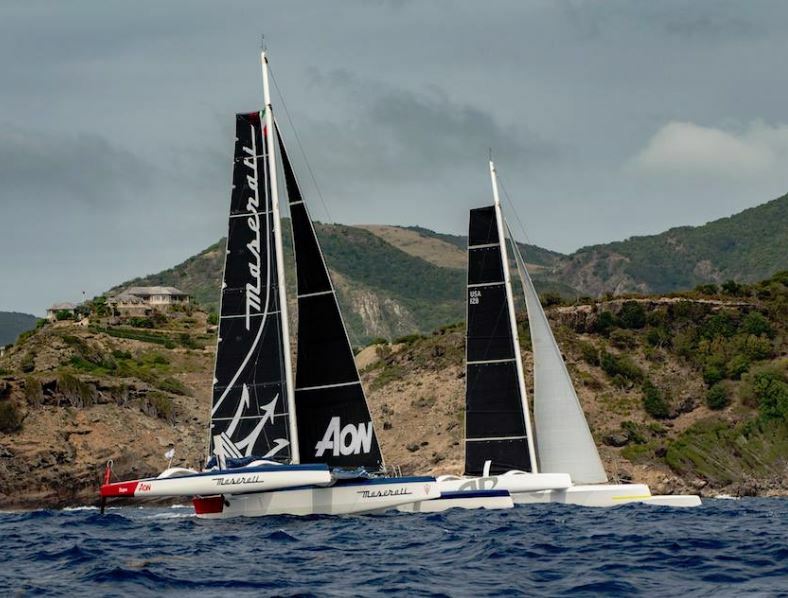 The new start time will be at 14.00 local time (18.00 UTC and 19.00 Italian time) to allow the American Team to finish the repair work after they capsized during the Antigua 360 Race last Friday. The Royal Ocean Racing Club, the organizing committee, asked everyone in the MOCRA class (multihulls) to delay the start but the quorum wasn’t met, so they asked the Italian Team to create a special class for the two Multi 70s. 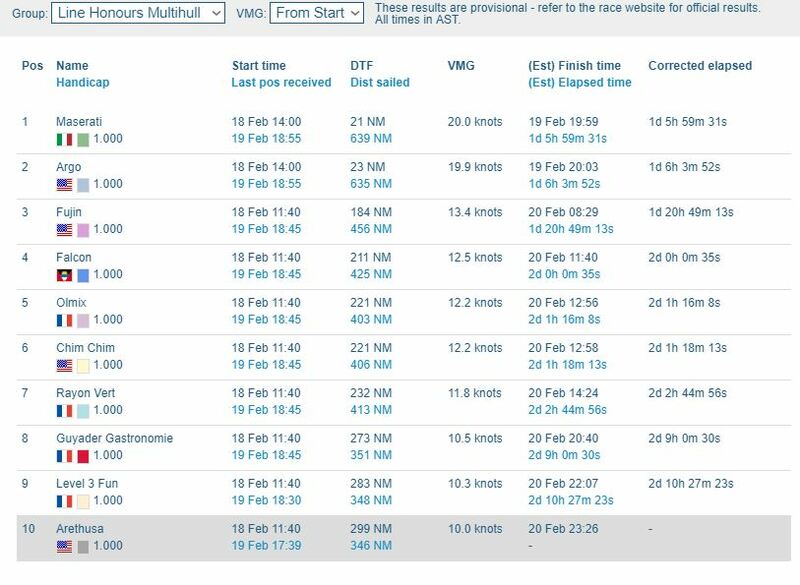 Therefore Maserati Multi 70 and Argo will compete in a Match Race without taking part in the corrected time ranking. “We’re happy to make it possible for Argo’s Team to participate in this beautiful race” said Giovanni Soldini from Antigua, “and we’ve decided to accept the delayed start because we’re here to compete on the water with one of the world’s strongest Teams, I’m sure it will be a great challenge”. Last edited by Photoboy; 02-18-2019 at 03:09 PM. We are sad to announce the retirement of Bella Mente. Hap Fauth's Maxi72 Bella Mente (USA) was a shock early retirement, pulling up just after passing Willoughby Bay to return to Antigua. In the big sea state, the new design showed phenomenal speed, but the pounding proved too much, and having shipped a ton or more of water down below, turned for home. All of the Bella Mente crew are safe and well. 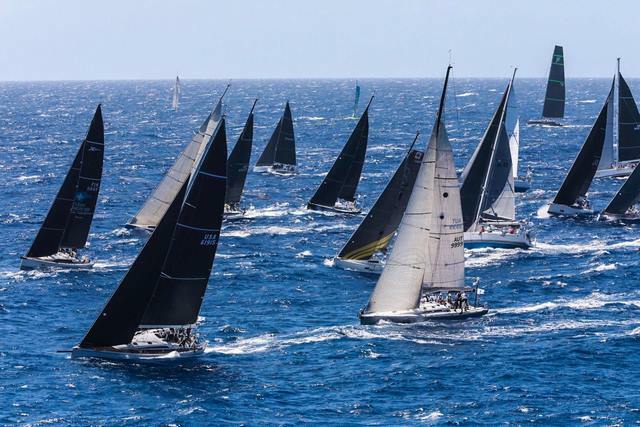 "Bella Mente has decided to retire from the 2019 Caribbean 600. Everyone is safe and back ashore. We appreciate all of the efforts from the RORC, Race Committee, friends in Antigua and family supporting us globally. 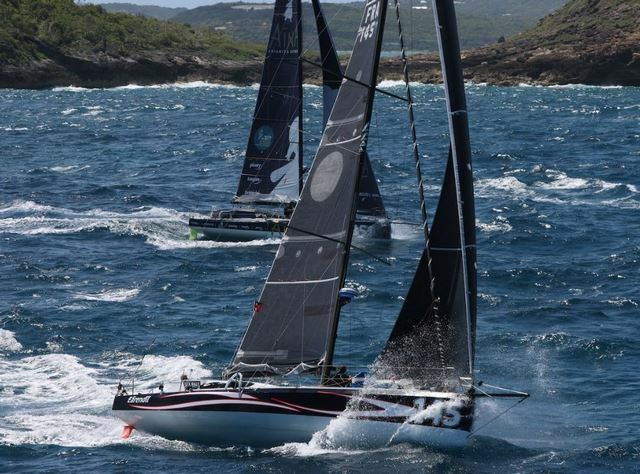 Bella will remain in Antigua and switch to inshore race mode and prepare for our next race." the Mod 70 Maserati leading Argo by 3 miles, both with substantial leads over Phaedo's record time. Amazing to see Argo bounce back so quickly! 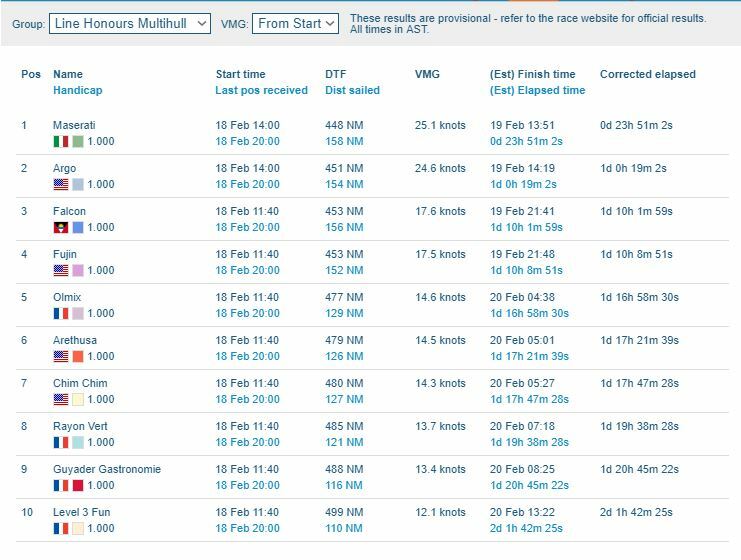 Both teams are set to break the multihull course record, but the winner is still yet to be decided. 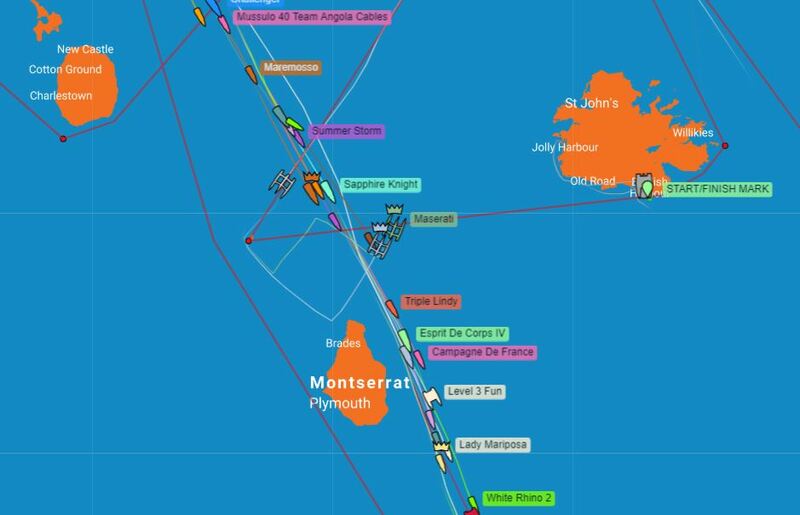 Maserati, skippered by Giovanni Soldini led at Guadeloupe by 12 miles, but in terms of time, that is less than 30 minutes ahead of Jason Carroll's Argo. 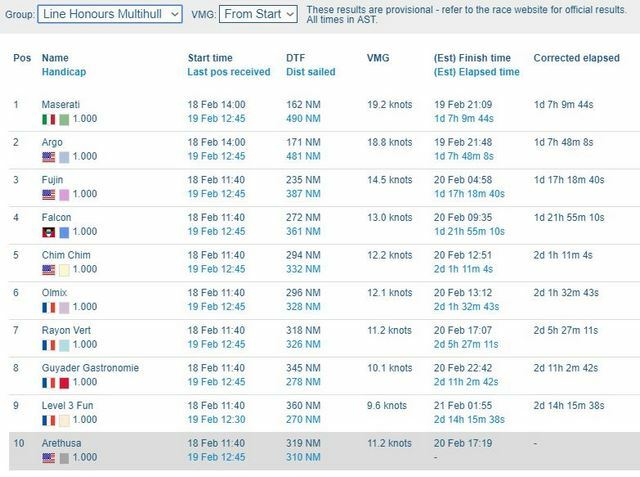 The two rocket ships are expected to finish the race around sundown today, Tuesday 19 February. Maserati is estimated to be three hours inside record pace! 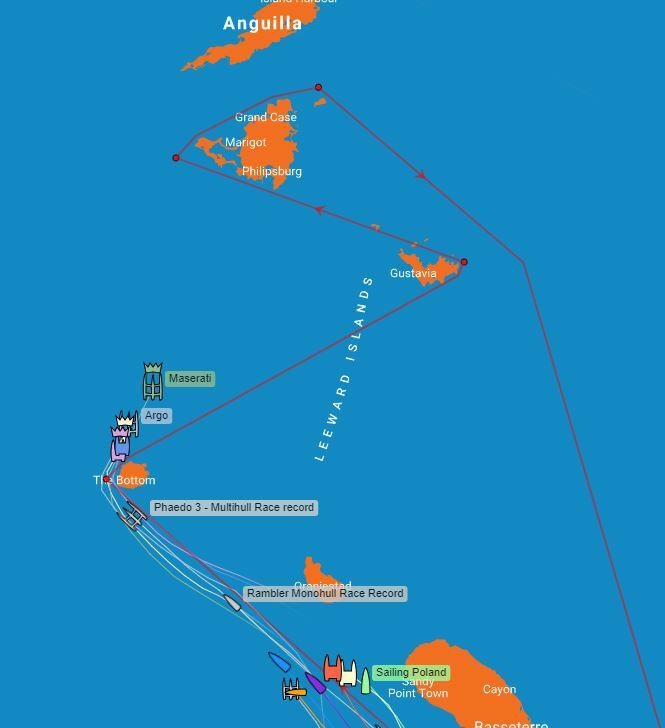 In IRC Zero, David & Peter Askew's Wizard, skippered by Charlie Enright has been eating up the miles in the perfect environment for a Volvo 70. Wizard pulled the trigger yesterday afternoon on the blast reach up to Barbuda and the rev. counter has been red lining ever since. 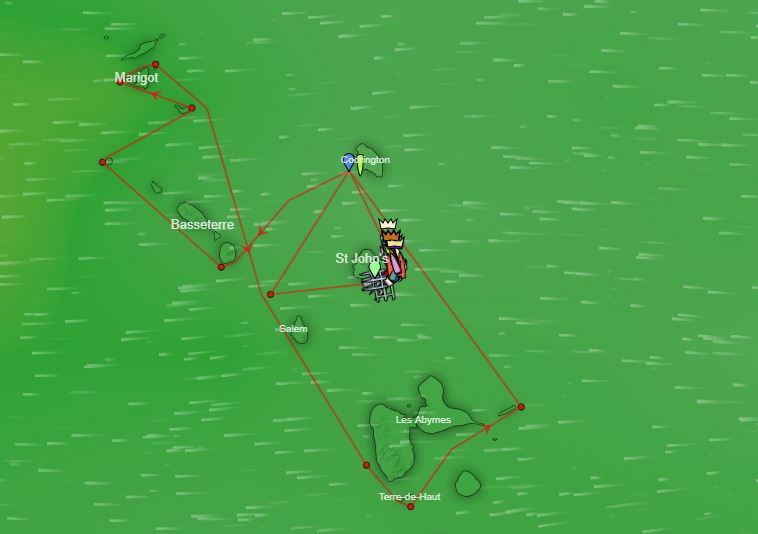 Wizard passed the halfway mark in less than 24 hours, smashing through well over 300 miles of Caribbean surf. 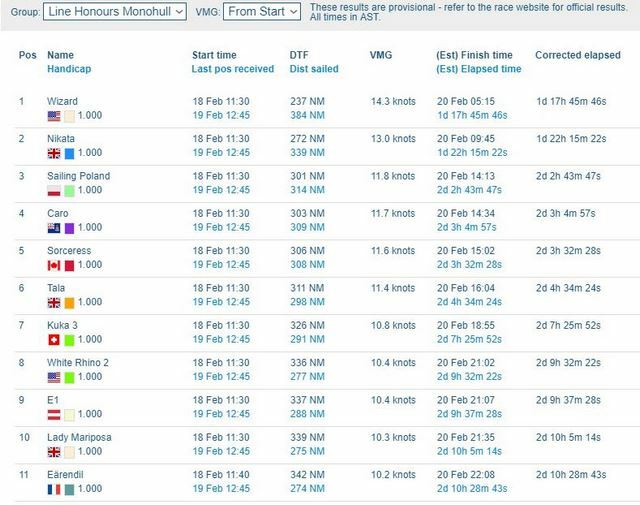 Wizard is currently four hours outside the monohull race record set by George David's Rambler 88 last year. 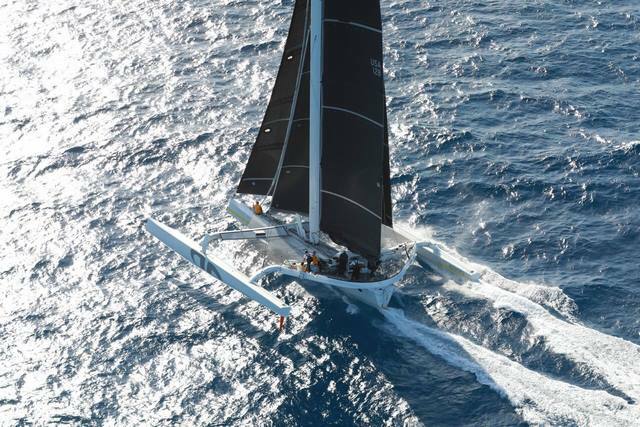 However, Wizard is the hot favourite for 2019 Monohull line honours and is estimated to be leading the fleet for the overall win under IRC for the RORC Caribbean 600 Trophy. Greg Slyngstad's Beiker 53 Fujin (USA) with a Seattle-based crew is owning the MOCRA Class. 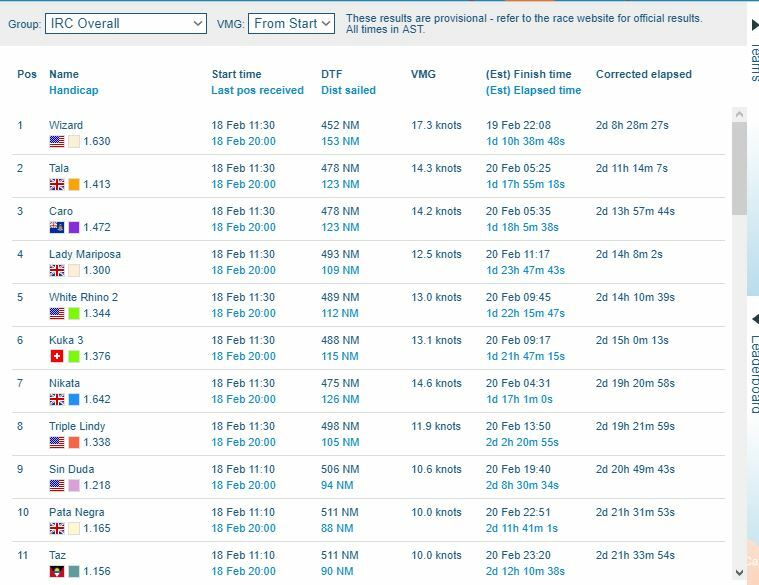 On the morning of the second day of the race, Fujin was 25 miles ahead of their nearest competitor, Shannon Falcone's Falcon, and estimated to be over four hours ahead after time correction. The Fujin team rounded Saba last night and must have reflected on last year's capsize and rescue. After MOCRA time correction, John Gallagher's Gunboat 62 Chim Chim (USA) is second, with Phil Lotz's Gunboat 60 Arethusa (USA) third. In IRC Three at dawn on the second day, Jonty and Vicki Layfield's Swan 48 Sleeper X (GBR) had a four mile lead and was estimated to be leading the class by three hours after IRC time correction. The early part of the race features plenty of upwind action, putting Sleeper in her element along with her sister ship Swan 48 Isbjorn, owned by Andy Schell and Mia Karlsson (USA), which was third in class. Sandwiched between the two heavy displacement vintage Swans was Trevor Middleton's Sun Fast 3600 Black Sheep (GBR); with a much lighter displacement, Black Sheep will be hoping to catch Sleeper on the long downwind leg to Guadeloupe. In IRC Two, Ross Applebey's Oyster 48 Scarlet Oyster (GBR) was three miles ahead on the water and estimated to be three hours ahead on corrected time, followed by Performance Yacht Racing's First 47.7 EH01 skippered by Andy Middleton (GBR). Pamala Baldwin's Antigua J/122 Liquid, skippered by Julian White (GBR) and Grand Soleil 43 Jua Kali, skippered by Gareth Glover, also from the Performance Yacht Racing stable, were having a terrific battle for third. In IRC One, the crew from Lake Constance, Germany racing Giles Redpath's Lombard 46 Pata Negra had a superb first night and is battling for the class lead with Bernie Evan-Wong's Antiguan RP 37 Taz. Lesley Duda's Santa Cruz 52 Sin Duda (USA) leads on the water by nine miles and is currently third in class. Sin Duda will be hoping to stretch out a lead on the big downwind ride to come. 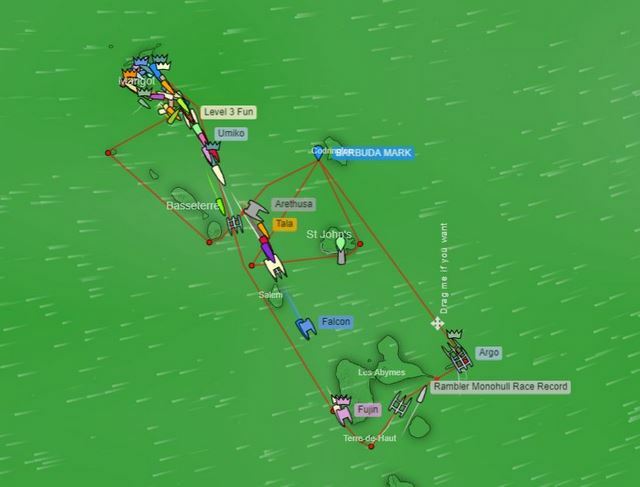 Three teams are racing in the IRC Two-Handed Class; James Heald's Swan 45 Nemesis (GBR) leads on the water but 7 miles astern, Jeremi Jablonski's Hanse 430 Avanti is leading after IRC time correction. At dawn on the second day, Johannes Gerssen's Olson 35 Cabbyl Vane (NED) was heading for Saba and about to dig in for the beat to St. Barths. A battle royal is raging at the front of the Class40s as the fleet rounded the most north western part of the course this morning. Catherine Pourre's Eärendil leads the fleet into the Anguilla Channel, but only just, stitched together with Aymeric Chappellier's Aïna Enfance Et Avenir. Luke Berry's Lamotte - Module Création is just behind the leaders. During the first day and night all three have held the lead, and that battle is set to continue. Pip Hare reported in from Henrik Bergesen's Hydra (NOR). 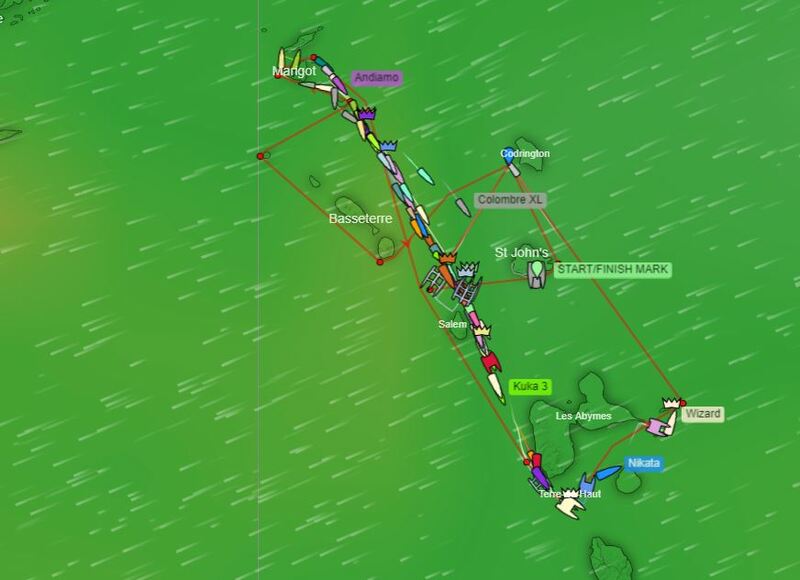 "A fantastic night racing behind St.Kitts and Nevis; a wet ride with the A3 up in 18 knots of breeze. 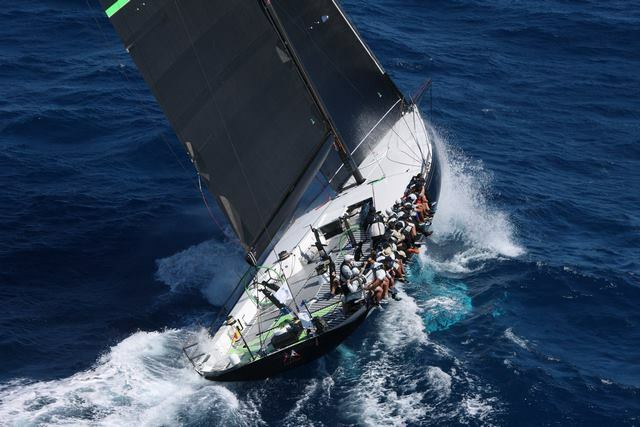 This is my fourth RORC Caribbean 600 and at this stage in the race, the fastest I have ever seen." Warmer than here, for sure. Barring sailing into a whole, another record crumbles!